At midnight eastern time tonight, I'll have a shirt up on TeeFury.com for 24 hours, and for only $10 a shirt. Go to my Facebook page and fill out a short entry form. Click the "Invite a friend" button and if they enter too, your entry counts twice! Tweet: It's Back to the 80s for the #UltimateScienceProject. 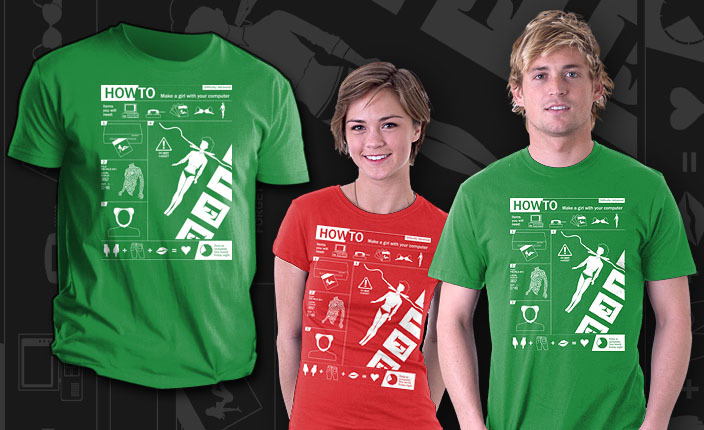 Instructions on today's tshirt @teefury www.teefury.com by @stevethomasart. Limited editions of this print will also be available at L|td Gallery in Seattle beginning July 28th. It will be part of a show I have up there for a month.